We offer a unique option for people in Taylorsville, NC with large dreams & limited budgets: modular homes! Modular Homes in Taylorsville NC – A home is more than just a place where you keep your personal belongings; a home is a place where you can establish memories and traditions, spend time with loved ones, and kick up your feet and relax! Because we know that your home is likely your most important investment, here at 1st Choice Home Centers, we want you to love the house that you’ve decided to call home. We offer a unique option for people in Taylorsville, North Carolina with large dreams & limited budgets: modular homes! Home Designing– We have home designing experts available to assist you in designing your perfect modular home. Whether you are looking to downsize or are searching for your forever home, we have many different modular home designs that are sure to meet your needs. If you need some special touches, our home designing team can help you turn those dreams into a reality! Home Designs– The lifestyle and individual needs of your modular home can be greatly benefited or hindered depending on the home design. A well-designed modular home can make efficient use of the space you need, as well as accommodate the needs of many different individuals. Here at 1st Choice Home Centers, we can help you assess the needs of your housing situation and match you with a modular home design that you’ll love for years to come. Prefab Houses– We have taken the modern manufacturing processes available and used them to ensure you can get into a home in record time with our prefab houses! Once you’ve picked out a home style, we know that you’ll be anxious to move in and start enjoying your new home. Our prefab houses allow you to have a quality-built home constructed on your land with great savings in time, money, and effort. Manufactured Homes– Manufactured homes have come a long way in recent years. While many people incorrectly picture the same cookie-cutter style of home in row after row, the manufactured homes of today are pleasantly surprising to our customers. We offer a wide variety of styles, colors, and features that are available in our manufactured homes. We can get your home set up on a solid, strong foundation and complete the interior and exterior finishing in a fraction of the time it would take to build a home on-site. Additionally, we can assist with custom garages or porches to add to your new home. If you’re looking into manufactured homes, we have a style and plan to fit your needs! Mobile Homes– There are few things more freeing than knowing you can enjoy your own bed anywhere you’d like to go! With our mobile homes, you can enjoy a quality home with great features in many different places. When you feel the need to explore new places, keep our mobile homes in mind to assist you in your journey! When you’re looking for modular homes, turn to 1st Choice Home Centers for all your housing needs. We have been in the business of helping people create beautiful modular homes since 1999. Today, we have grown and expanded to many different areas of North Carolina to meet the needs of our customers. If you would like more information about financing or the housing options available to you in Taylorsville, NC and the surrounding areas, don’t hesitate to give us a call today! 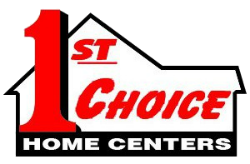 1st Choice Home Center offers quality modular homes in Statesville, Troutman, Taylorsville, Mocksville, Maiden, Conover, Lincolnton, Newton, Union Grove, Hickory, Harmony, Mooresville, and surrounding areas of North Carolina.